Slowing U.S. snail mail could speed innovation. Slowing U.S. snail mail could speed up innovation. 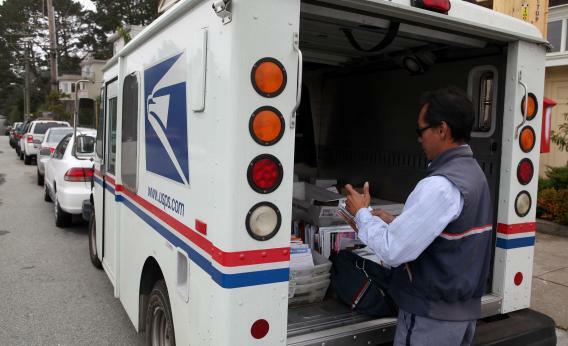 The Postal Service is halting Saturday deliveries to save money. That won’t cover its $5 billion annual losses or plug its pension hole. Even so, it’s an opportunity for Uncle Sam to hasten corporate and individual technology adoption. Over time, further shrinking the USPS should have broader economic benefits. One of the postal service’s biggest problems, for example, is being forced to deliver mail to all U.S. states and territories at prices that must be approved by a federal regulator. These might be financially viable in big cities, but not in all rural areas. Some 4.2 million households are in such isolated areas and many lack either a computer or broadband Internet access – or both. A $250 tax credit would allow each household to buy a cheap PC, costing taxpayers $1 billion in total. Hooking them up with decent Internet access will cost more, but at least it wouldn’t have to start from scratch – the Federal Communications Commission is already working on it. If Uncle Sam plowed an extra $2.5 billion a year into that project, it could have a broadband network up and running by 2018, four years earlier than the FCC’s target. That would spread online access for everything from paying bills to magazine subscriptions – and should spur businesses to up their game. America’s banks, for example, still lag European rivals on same-day free money transfers. They could also cut back on paper statements and bills, as could other service providers like utilities. That will reduce their costs as well as being good for the environment, as less paper and gasoline is spent. There are broader benefits, too. Fast, reliable Internet access would improve these Americans’ ability to communicate with the rest of the world and put more information at their fingertips. That means more educational and career opportunities. That could boost their earnings, their spending power and even their happiness if it improves talk time with out-of-town relatives or helps them find love on a dating website. The sort of private sector innovation that America loves to brag about could surely fill whatever holes a smaller USPS creates – and probably create more jobs in the process.